The IHSA State Basketball Tournaments and the March Madness Experience will return to the Peoria Civic Center on March 8-10 and 15-17. The Peoria Civic Center and IHSA are excited to unveil a new layout that includes select sections, including lower bowl and the front row behind the baskets, as general admission seats. With the goal of getting fans as close to the floor as possible, the General Admission set up in select locations will give fans the classic high school seating experience only on a grander scale. Now fans will be able to enjoy the flexibility of being able to sit near their team. In order to provide a fun atmosphere for fans, create an affordable ticket price across the board, and to increase the flexibility with changing game schedules, tickets will be general admission style in select locations at $11 per ticket. Purchasing a General Admission ticket will also include access to the March Madness Experience in the Peoria Civic Center Exhibit Halls. There will still be ADA accessible tickets and passes available at the Toyota Box Office. Tickets are on sale now at the Toyota Box Office at the Peoria Civic Center, online at PeoriaCivicCenter.com and Ticketmaster.com, and by phone at 1-800-745-3000. For more information on IHSA, please visit https://www.ihsa.org . The Peoria Civic Center, an SMG managed facility, is an entertainment and convention venue that contributes significantly to the economic impact on the downtown Peoria area. 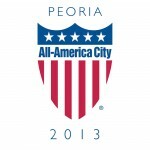 For the most up-to-date event information visit www.PeoriaCivicCenter.com. Celebrating its 40th anniversary and founded in 1977, SMG provides management services to more than 230 public assembly facilities including convention and exhibition centers, arenas, stadiums, theaters, performing arts centers, amphitheaters, equestrian facilities, science centers and a variety of other venues. With facilities across the globe, SMG manages more than 15 million square feet of exhibition space and more than 1.5 million sports and entertainment seats. As the recognized global industry leader, SMG provides venue management, sales, marketing, event booking and programming; construction and design consulting; and pre-opening services for such landmark facilities as McCormick Place & Soldier Field in Chicago, Moscone Convention Center in San Francisco, Houston’s NRG Park and the Mercedes-Benz Superdome in New Orleans. SMG also offers food and beverage operations through its concessions and catering companies, currently serving more than 140 accounts worldwide. For more information visit www.smgworld.com.